Isabel C. Davis, 98, formerly of Burnham, passed away Sunday, March 25, 2018, at William Penn. Born Dec. 22, 1919, in Juniata County, she was a daughter of the late George W. and Frances E. (Adams) Stewart. In addition to her parents, she was preceded in death by: her husband, Eugene F. Davis; her sisters, Helen Mitchell and Eleanor Varner; and her brothers, John, Merle, Karl, and Roy Stewart. Isabel is survived by her children: Cheryl Hornung, and husband, Barthold, of Germany; Barbara Scout, and husband, Charles, of Harrisburg; Richard A. Davis, and fiance, Janmarie Willman, of Enola; her grandchildren: Alicia Dekker, and husband Jim; Janella Hecker, and husband, Tom; Jason Davis, and wife, Rebecca; Jessica Deibler, and husband, Kevin; Jocelyn Chang, and husband, Peter; Caitlin Campbell, and husband, Jared; and her great-grandchildren: Helen, Dylan, Aidan, Lucas, Chase, Nicholas, Connor, Charlotte, Delaney, Sloane, Evelyn, and Eleanor. She was a graduate of Juniata High School, Class of 1938. Early in life, she worked for Cluett-Peabody as a seamstress, which served her well later in life when she began sewing for family and friends. Isabel was a member of the Grove Memorial United Methodist Church, the Live Wire Sunday school class and the Lewistown Christian Women’s Club. In addition, she served on the church’s Administrative Board, on the Commission on Records and History and on the Status and Role of Women. 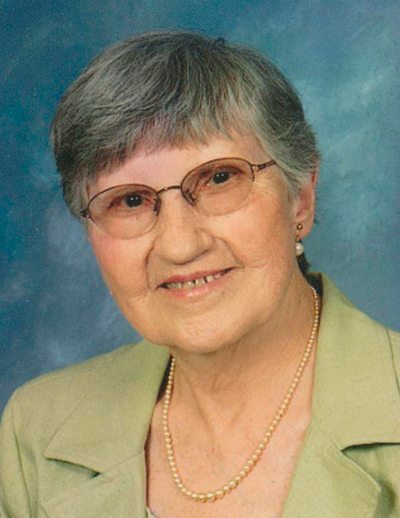 She was a member of the Burnham YMCA, where she participated in the Silver Sneakers program and was an avid swimmer. She was a member of the Act 2 ACTWU Retirees Club and she loved to travel. She and her husband participated in various Elderhostel programs and enjoyed a trip to Hawaii together. Other travel included a trip to Germany with her daughters and bus trips throughout the United States with her sisters. Isabel was an enthusiastic Phillies and Eagles fan. She enjoyed life. A viewing will be held from 11 to noon, Monday, April 2, 2018, at Heller-Hoenstine Funeral Homes, 108 First Ave., Burnham, with a funeral service to follow at noon, with Pastor Randy Traxler officiating. Interment will be held at Hillside Cemetery, McAlisterville. Memorials in Isabel’s name may be made to: William Penn Healthcare and Rehabilitation Center, 163 Summit Drive, Lewistown, PA 17044; American Heart Association, 1019 Mumma Road, Wormleysburg, PA 17043; and Grove Memorial UMC, 611 S. Main St., Lewistown, PA 17044. Online condolences may be offered to the family at hellerhoenstinefuneral home.com.